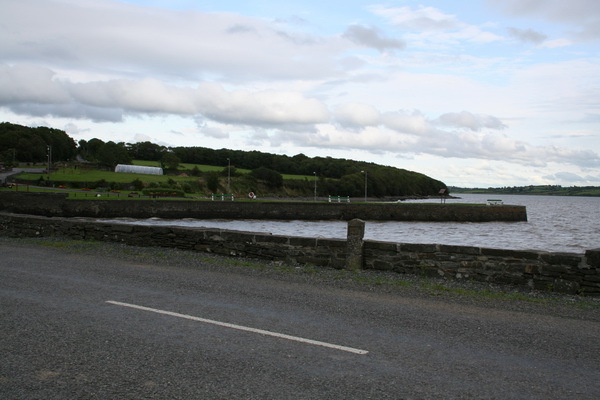 KNOCK, a post-town, in the parish of KILMURRY, barony of CLONDERALAW, county of CLARE, and province of MUNSTER, 8 miles (W. S. W.) from Kildysart, on the road to Kilrush; containing 180 inhabitants. 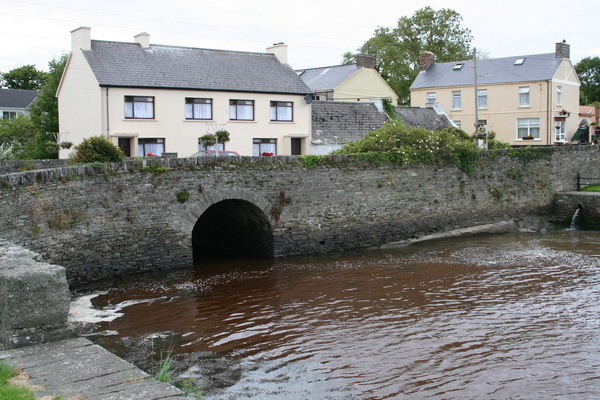 It is beautifully situated on the north-western side of Clonderalaw bay, and comprises about 30 houses, several of which are ornamented in the rustic style and have tastefully disposed shrubberies and gardens attached. It is a station of the constabulary police, and petty sessions are held weekly on Friday. 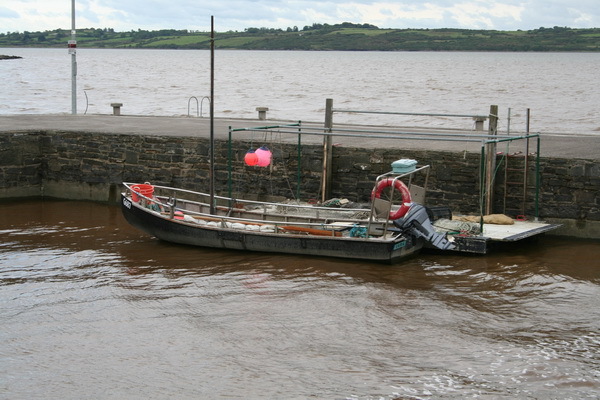 Here is a small pier, where sea manure is landed, and whence corn is occasionally sent in boats to Limerick. 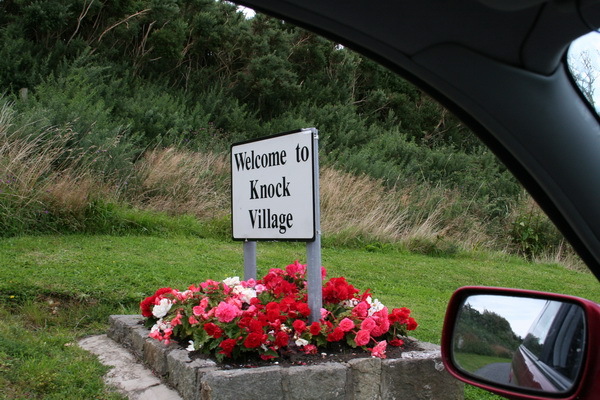 KNOCK, a village in the parish of Kilmurry-Clonderalaw, barony of Clonderalaw, co. Clare, Munster. 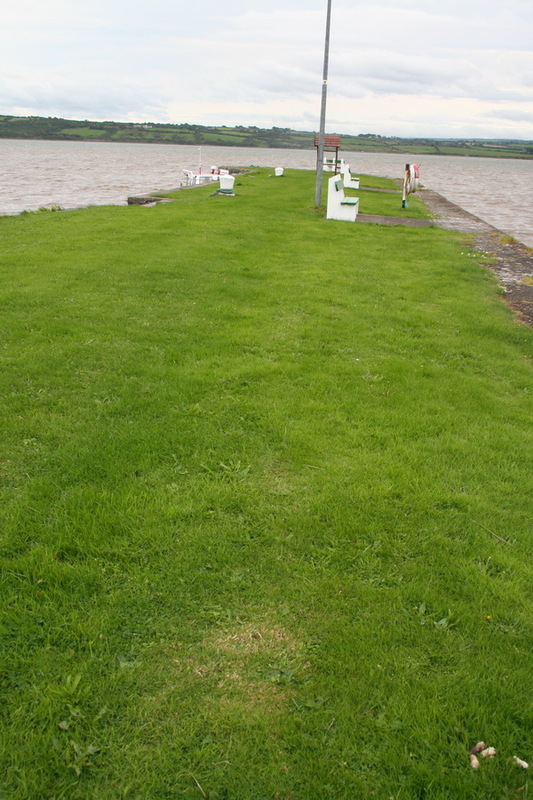 It stands on the north-west shore of Clonderalaw bay, and on the coast-road from Kilrush to Killadysart, 5.5 miles east of Kilrush. 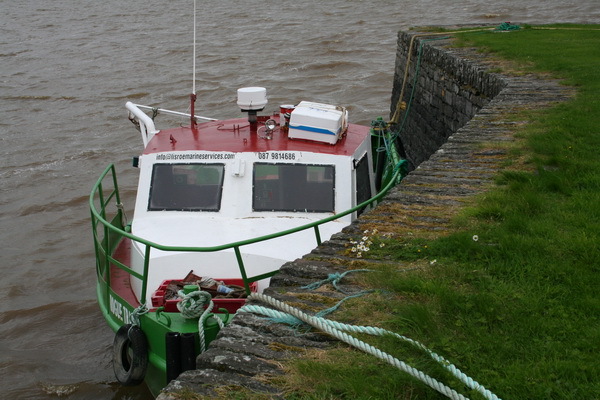 It has a post-office and a dispensary; and the latter is within the Kilrush Poor-law union, and serves for a pop. of 10,706; and, in 1839-40, it expended £90, and made 4,174 dispensations of medicine. A broad and beautiful band of wood, often called the woods of Knock, embosoms the demesnes of Woodlawn, Oaklands, Kilmore, and Cahirbane, and extends 2 miles along the shore of Clonderalaw bay. Area of the village, 3 acres. Pop., in 1831, 180; in 1841, 115. Houses 21. If you can see Kilrush in Co Clare, travel east along the N67 until the road colour changes from green to yellow; Knock is just about there, and if you zoom in you should be able to see it. And here (I hope) is the Ordnance Survey historic map showing the Post Office, the Police Barrack, a Bark Yard and the quays. 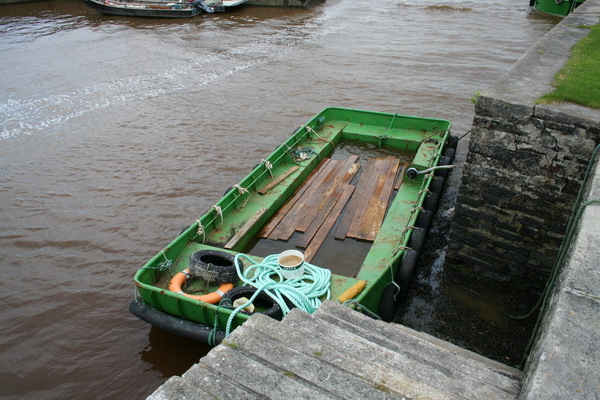 Here are some photos from August 2009. 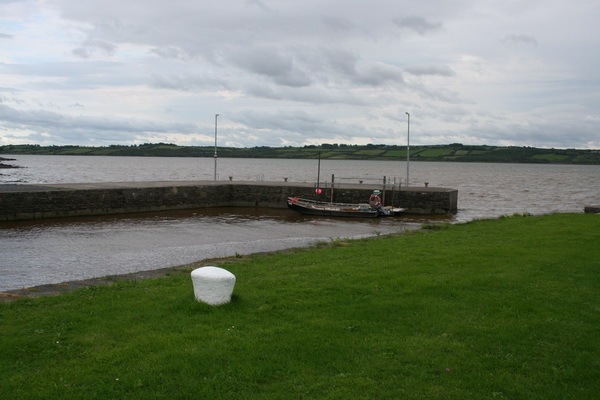 I would be glad to hear from anyone who can add information about the history of Knock, especially the use of the piers. Please leave a Comment below. my grandparents people came from knock ,i was told by a lady from the town that the side exit of culligans pub that the ruin that stands there was the family home .also that thay piloted boats up to arthurs quay in limerick..any information would be appreciated .barry pearse.